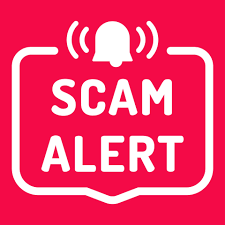 ► MT4talk.com → Report Other Fraud / Scam Websites! → propellerads.com scamming customers. Be aware of www.propellerads.com stealing money from customers! We have purchased Propeller push notification ads and the company did stole our money! They only delivered 1/4 traffic what we paid for. Even most of that 1/4 traffic was fake traffic! They may use proxy or something to deliver fake traffic! When we complained and asked for help they have told us many lies. We even did show them our google analytics stat to prove that we have not received the promised unique traffic, they didn't care about the stat. www.propellerads.com is a fraud company! Their support is very bad. Do not buy ads from www.propellerads.com because they are stealing customers money! Share this topic with all your friends, to warn your friends! propellerads.com is a scam company. They have been a long time stealing money from people! Yes, www.propellerads.com is a scam website. Don't buy ads from it. There is a lot of scam report about propellerads.com on the internet.